Branch out with this Love Nest Wedding Cake. 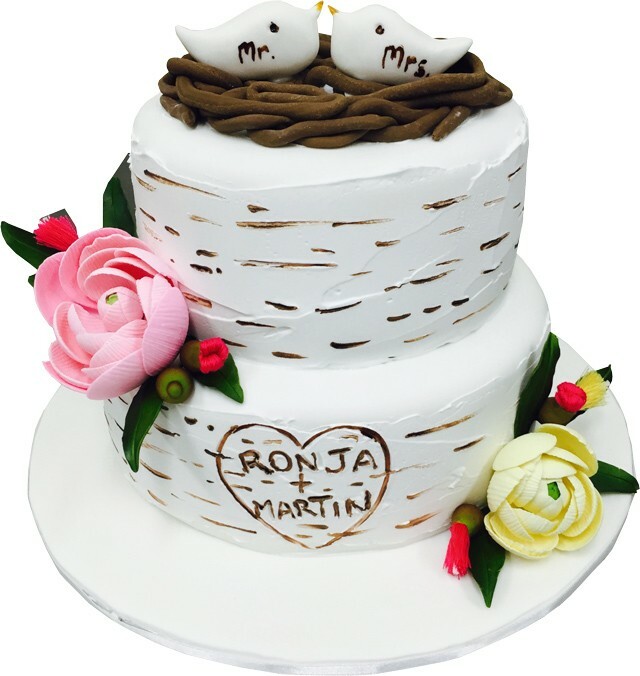 A stunning two tier wedding cake, hand decorated in the form of a tree trunk, complete with an edible nest and a husband and wife couple of birds. Branch out with this Love Nest Wedding Cake. 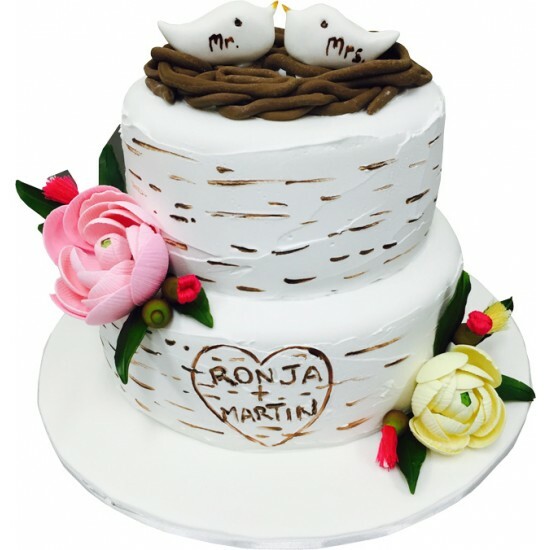 A stunning two tier wedding cake, hand decorated in the form of a tree trunk, complete with an edible nest and a husband and wife couple of birds, this wedding cake will really take your wedding to the top of the tree!